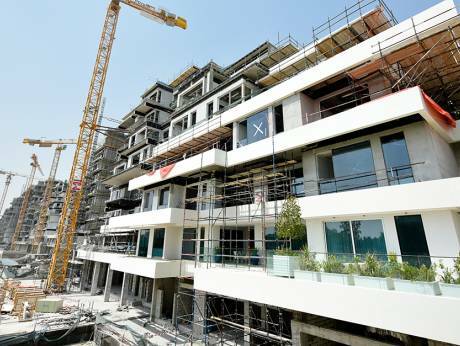 Dubai: Property buyers in Dubai who are in breach of their sales contracts on off-plan projects will find the going tough from now on. An update has been issued on the law related to “interim property registration” by His Highness Shaikh Mohammad Bin Rashid Al Maktoum, Vice-President and Prime Minister of the UAE and Ruler of Dubai. This is Law No. (19) of 2017 partially amending Law No. (13) of 2008 on interim property registration in Dubai. The new version clearly sets out the procedures to be applied in cases of breaches of sale contracts by a buyer. In such an event, the developer must notify the Dubai Land Department that such a breach has taken place. Once the notification is received, the Land Department can give a 30-day notice to the property buyer. (The notice must be dated and given in writing and delivered to the purchaser directly by registered mail, email or any other method specified by the Land Department.) If the developer and buyer subsequently reach an amicable settlement, it must be added to the sales contract and signed by both. But if the buyer fails to fulfil contractual obligations — or a settlement cannot be reached — the Land Department may issue an official document stating that the developer has fulfilled his legal obligations, specifying the percentage of completion of the property. This is where the new Law sets clear guidelines on what a developer and property buyer can expect. * If the percentage of completion on the off-plan project is over 80 per cent, the developer can ask the purchaser to abide by the terms of the sale contract and confiscate the paid amount. He can call on the buyer to make the rest of the payment specified in the contract or otherwise request the Land Department to auction the property to collect the dues. The buyer is also obligated to pay any expenses arising from the auction. The developer can make void the sale contract, retain up to 40 per cent of the sale contract’s value and return the remaining amount to the buyer within a year of the date of contract cancellation. Or within 60 days of the date of re-selling the property, whichever is earlier. * If the percentage of completion on the off-plan project is between 60 and 80 per cent, the developer may void the sale contract solely, retain not more than 40 per cent of the sale contract’s value and return the remaining amount to the purchaser within a year of the date of contract cancellation. Or within 60 days of the date of re-selling the property, whichever is earlier. * If the percentage of completion is less than 60 per cent, the developer may void the sale contract, retain up to 25 per cent of the sale contract’s value and return the remaining within one year of the date of contract cancellation. Or within 60 days of the date of re-selling the property, whichever is earlier. * If the developer did not initiate the work in the property for reasons beyond his control and without negligence, the developer may void the sale contract, but deduct not more than 30 per cent of the paid money and return the remaining within 60 days of the date of re-selling the property, whichever is earlier. And if the project is cancelled by a resolution from Rera (Real Estate Regulatory Agency), the developer must fully refund the buyer. This is as per Law No. (8) of 2007 concerning escrow accounts for real estate development in Dubai. With the new Law, the procedures prescribed in Article (11) of Law No. (13) of 2008 are not applicable to land sale contracts. Such a sale remains subject to provisions stated in the sale contract.